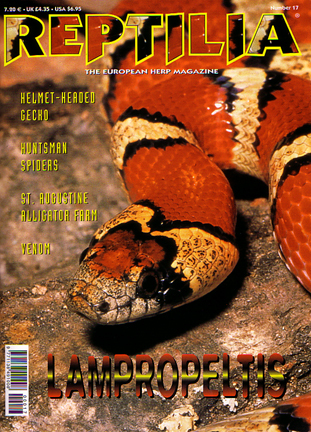 I was delighted to be asked to contribute to the August 2001 edition of REPTILIA, The European Herp Magazine, published in Barcelona, Spain. They saw my work online and asked if they could use some to illustrate an article about herpetology enthusiasts who get tattoos of their pets. You can find them online at reptilia.net.